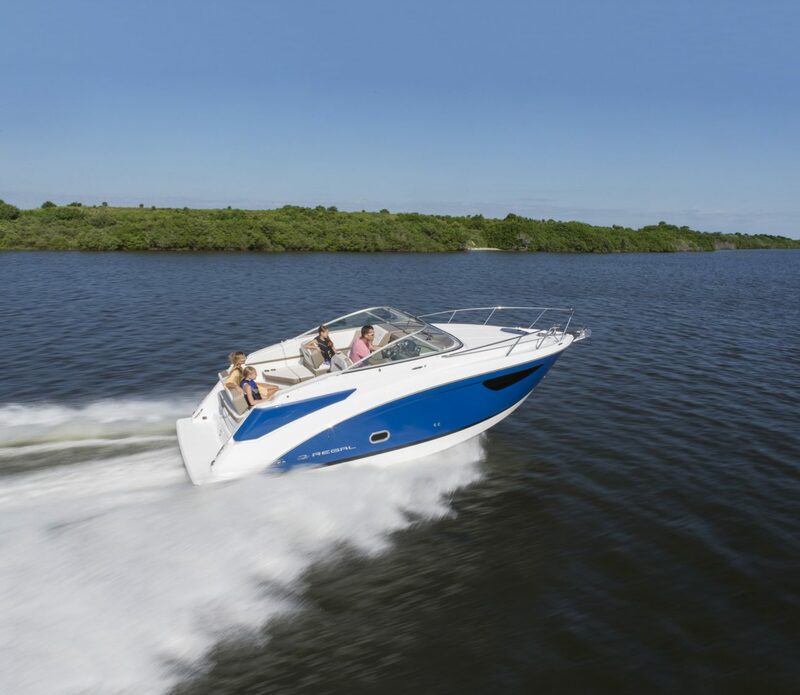 The Regal 26 Express combines the latest technologies and new amenities in a beautiful, functional package. The innovative interior layout and ergonomic cockpit design provide room for everyone to enjoy. It’s the perfect place to spend your long weekend and pass on the boating tradition to the ones you love most. Featuring a comfortable double berth, the mid-cabin is an efficient and spacious use of space below deck. Regal’s uniquely shaped salon provides most-in-class space with an expansive seating layout and berth for overnight stays.